Hey everyone! Long time no blog post.. I can only share my apology but I’ve been really ill recently and I’m still sniffling away as I write this post! I’m trying out a few different things in terms of taking photos for the blog too, its that time of year where natural light is slipping away as my get closer to winter. Especially here in Scotland, its pretty dull most of the time regardless! I like my photos to be quite bright so I used my light ring in my bathroom to take some pictures, please let me know your thoughts as I’m really trying to make a big effort to improve the little things on my blog! Enough rambling.. Today I wanted to chat about a hair product that saved my life a little bit! A while a go – before I had my hair cut a lot shorter – it was pretty bleached and colour damaged. I used this in the ends of my hair every time I washed it and I noticed a huge difference within a few weeks. Nothing is going to completely rescue badly damaged hair but I applied this when my hair was wet and then once it had dried and it really smoothed out any frizz and helped my hair to grow stronger. After a little while I decided to have my hair cut much shorter for a change, so now I use this about once a week in the ends of my hair to keep it moisturised and frizz free. I simply use one pump and rub it between my hands before massaging it into the ends of my hair. It has a really lovely smell too that lingers throughout the day. My hairdresser uses this on my hair too when she dyes it, so if its good enough for her then its certainly gonna be good enough for me to use! 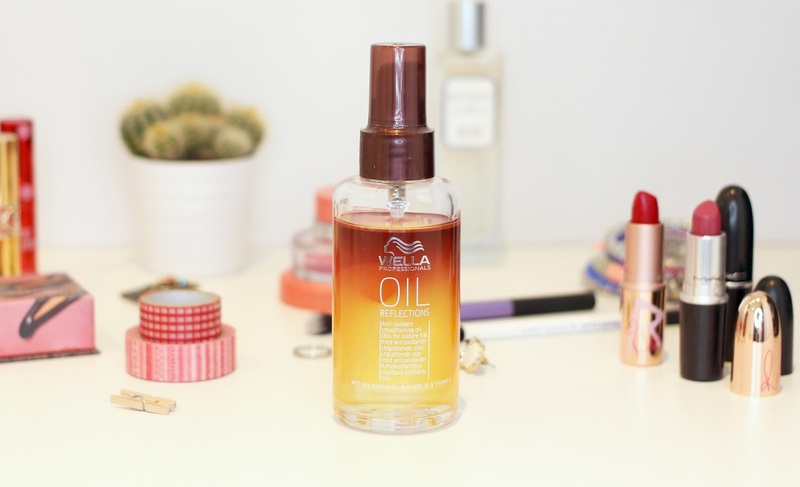 I know Wella isn’t the easiest brand to pick up on the highstreet but I was able to purchase a bottle of this from Amazon for around £9! I know that salon services sell this in store too so if you have access to there then definitely look out for this little gem. It really has changed my hair and I think it would be great for pretty much everyone.